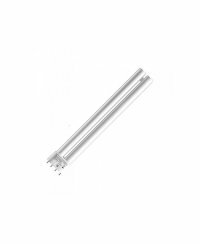 The T-Neon set generates the optimal lighting through the coordination of the fluorescent tubes with the reflector, which is ideal for the cuttings, as well as the motherplants. 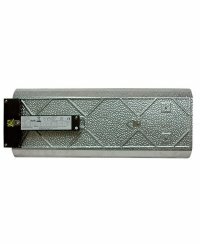 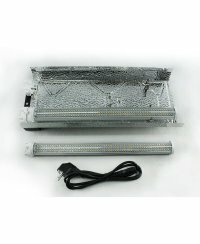 Already integrated are an electronic ballast, a plug cable, and the suitable illuminant. 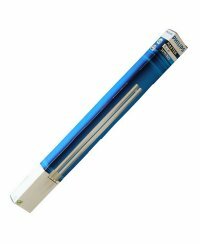 The Starlight propagation lighting unit with high-quality component by Philips, offers very high lumen per watt, is thereby energy-efficient and can be used for all growth stages. 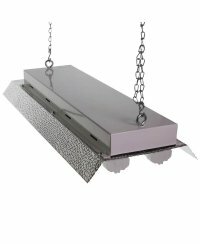 A strongly reflecting reflector with hammered finish is used here. 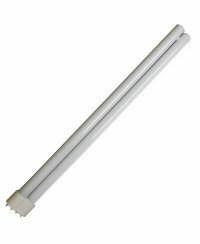 In addition, we also offer fluorescent tubes without reflector, for the propagation of seedlings. 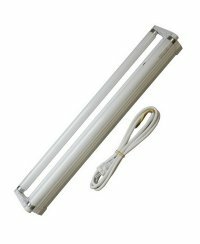 They are 60cm long and usable in combination with lighting units. 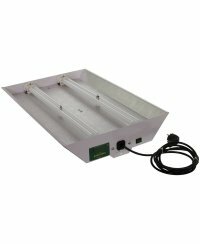 This set contains a lighting unit for propagation with two fluorescent tubes, and a plug cord. 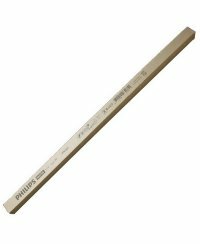 Philips has the suitable (to the T-Neon set) bulbs with 36 W and the light color 'Cool Daylight' with 6500 kelvin, or 'Cool White' with 4000 kelvin. 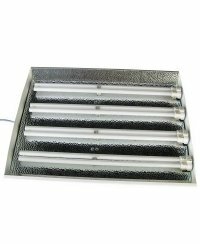 This neon light is perfect for the cultivation of cuttings and seedlings.